Looking for an inexpensive crafty gift for a little someone. How about a French Knitting Kit? Don't just stop at the kit, add a skein of wool and whip up a drawstring bag to keep everything together. 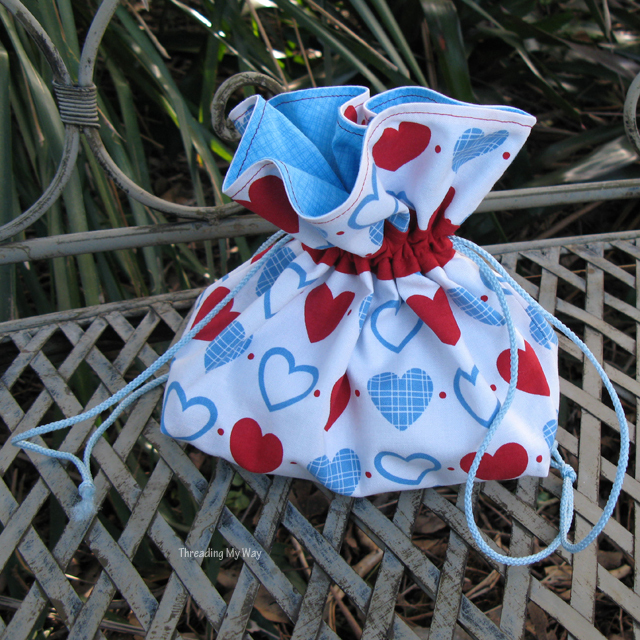 Find the how to make a drawstring bag tutorial over at Threading my way, Pam will be thrilled to help you out.